BAAA works hard to celebrate a tradition begun by the first Neanderthal who drew on a rock outside his cave: painting "en plein air". Today, it’s so popular it’s been referred to as "the new golf". This year we’re planning on a dozen events, on both sides of the Delaware River, including private homes, public libraries, private gardens, historic inns, cityscapes, landscapes, rivers, brooks, and waterfalls. So, whether you are an art lover, an aspiring artist, or an accomplished master, revisit this page often. Or send us an e-mail to get on our plein air mailing list. 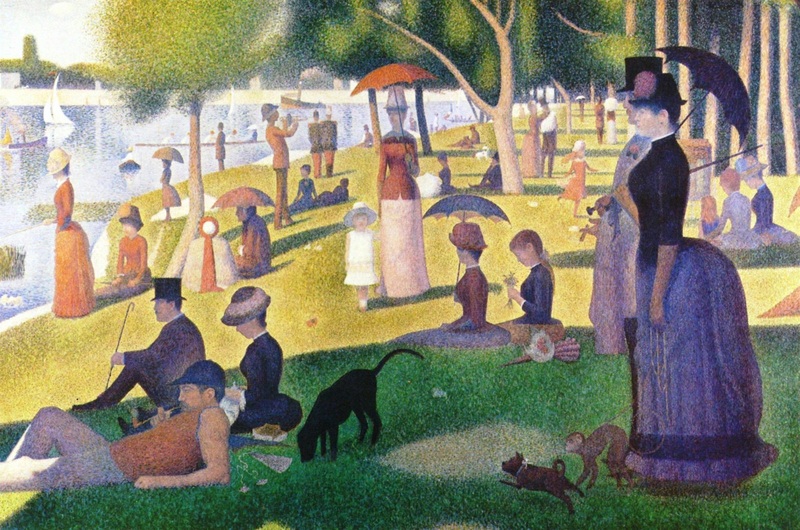 We're inviting poets and artists for a painting and poetry party! Hestia’s Garden is opening up their private gardens for this Plein Air community painting event, sponsored by the Western Sullivan Public Library. Designed by Darlene Midlang to nurture body and soul, the perennial, vegetable, and herb gardens are ensconced in eight acres of meadows and woods. There is an orchard, and wandering paths that will take the explorer to Buck Brook Creek and the old pond stocked with fish. The planted berms hold primarily native plants and were created using lasagna gardening techniques. The vegetable garden is a series of circles, suggesting a mandala. There are so many beautiful ways to frame the landscapes, you'll be hard pressed to settle on a place to set up. PLUS live music by Nick Roes throughout the day. As always, we'll have art supplies and facilitators for beginners, and experienced artists are welcome to bring their own set-up. 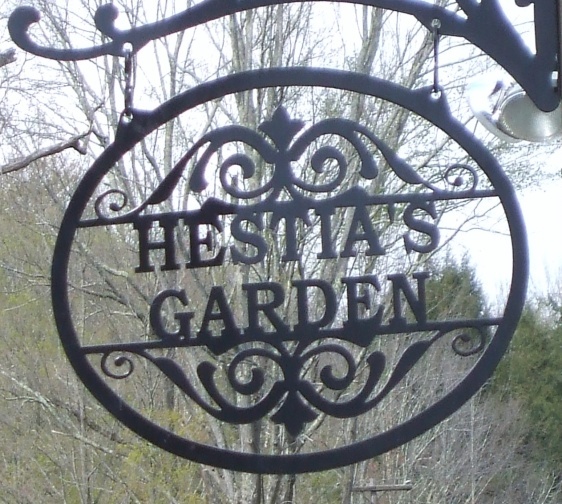 CLICK HERE to check out the Hestia's Garden website, then go HERE to reserve a space. A light lunch is included. All are invited to attend. No prior exerience necessarty. Join us for a day of fresh air, great conversation and gourmet food, courtesy of the Cottage in the Pines in Sparrowbush, NY. 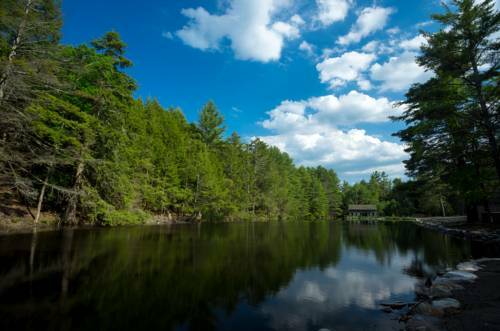 You’ll experience the pastoral pleasure of unspoiled meadows, woods, streams, ponds, old barns and country roads. And we’re sure you’ll enjoy the delightful company of our co-sponsor River Valley Artists Guild artists, who will be there the entire day. This FREE event includes amenities such as water, food, toilet facilities and Cottage Inn staff—world famous for their knowledge and eagerness to please. Box lunches provided to all artists courtesy of the Cottage Inn. 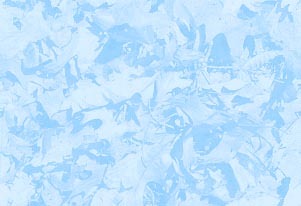 Experienced artists bring their own supplies, and a limited range of supplies is available for use by beginners. Demonstrations in oil paint and pastel will be presented. Space is limited and reservations are required. E-mail barryvilleareaarts@gmail.com to register. This event is designed to help us value and appreciate the beauty that surrounds us--to help us appreciate the things we all pass by every day without really noticing. 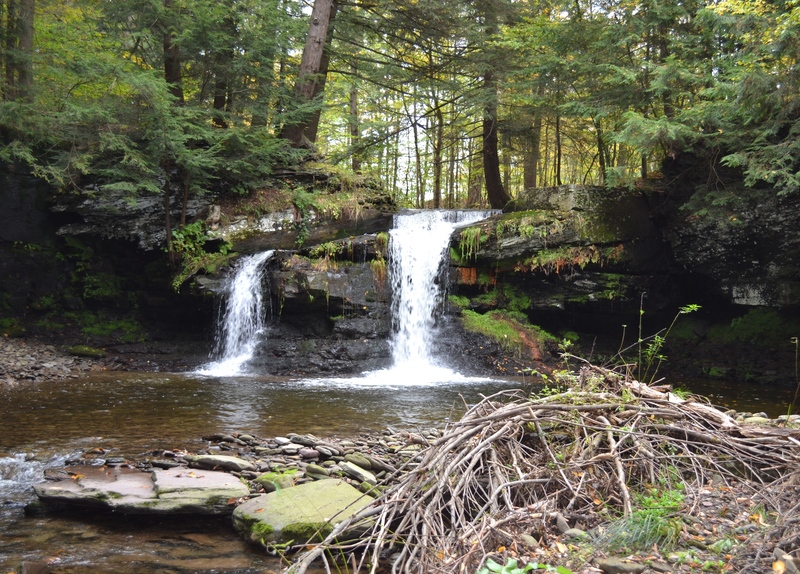 Our area has been the inspiration for both the Hudson River School and Northeast Pennsylvania painters. 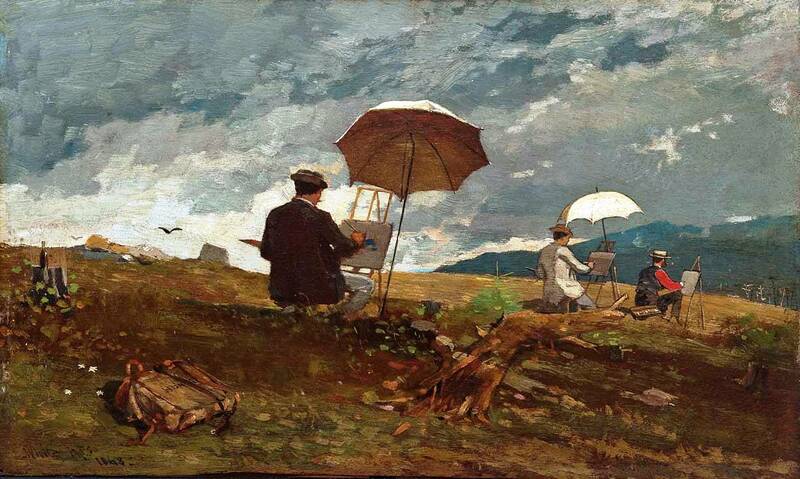 Pictured above: "Sketching in the White Mountains" by Winslow Homer (1868). An exhibit of classic prints traces the history of plein air art, from the 1600s to today. Local contemporary artists also offer their pieces created "en plein air". A local expert will also be available to present a short slide presentation, and answer questions. You’ll experience how, through "artistic license", a tree may become more than a tree, to express amusing or even deeply religious ideas. So please join us on June 1, 2019, from 4 – 6 PM, at the Artists’ Market Community Center, 114 Richardson Avenue, Shohola, PA 18458. With access to a majectic private residence, Plein Air Equinunk offers unbelievable views of streams, mountains, and waterfalls. Light refreshments and maps provided to all participants. Artists are welcome to set up on a deck with breathtaking views, or scout around to other nearby waterfalls and other vistas. Poetry reading and art exhibit. This reception will show off the art created at our May 18 Hestias Garden event. All are invited to attend. Plein Air dans la Village is an outdoor community art event for artists and art lovers. On June 29, 2019 from 10 AM – 3 PM, local artists will be painting and drawing on the streets of Milford, PA. All participants will get a complimentary lunch delivered to them, as well as a "Historic Map of Milford". 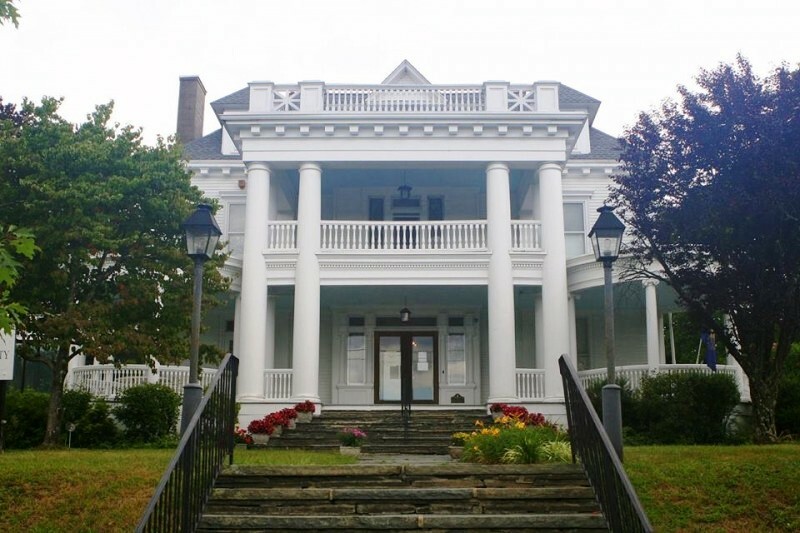 First stop will be the Welcome Table, art supplies, and historic map to be collected on the porch of the The Columns Museum of the Pike County Historical Society 608 Broad Street, Milford, Pennsylvania. Then it’s off—on your own or in groups—to find the perfect place to inspire your artwork. If you register in time, all participating artists will be included in a brochure with a brief bio and contact info, to be distributed during this event, and during the reception and at the two week exhibit at the Hotel Fauchere. There's a free after party for all participating artists, at 403 Broad in Milford, so please don't waste any time getting us your RSVP. Registration is required for this free event. E-mail barryvilleareaarts@gmail.com to reserve a place. A special THANK YOU to the Hotel Fauchere and Sean Strub for sponsoring this community event! 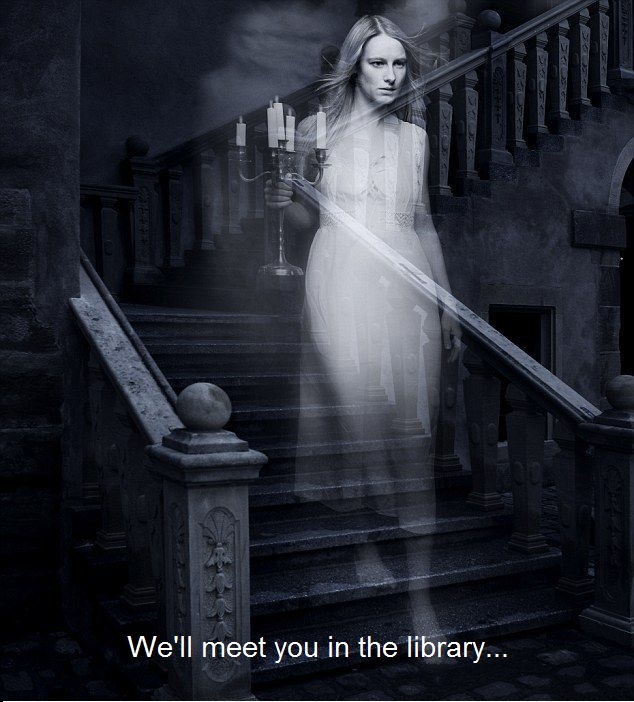 Paranormal is the name we give to "experiences that are outside the norm and beyond scientific explanation". That’s also a great definition for art! So we’re combing the two for a plein air community painting event at the Tusten Settlement Church Cemetery. Paranormal specialist Rich Justus will be on hand to document and inform us all on the paranormal activity our drawing and painting stirs up. 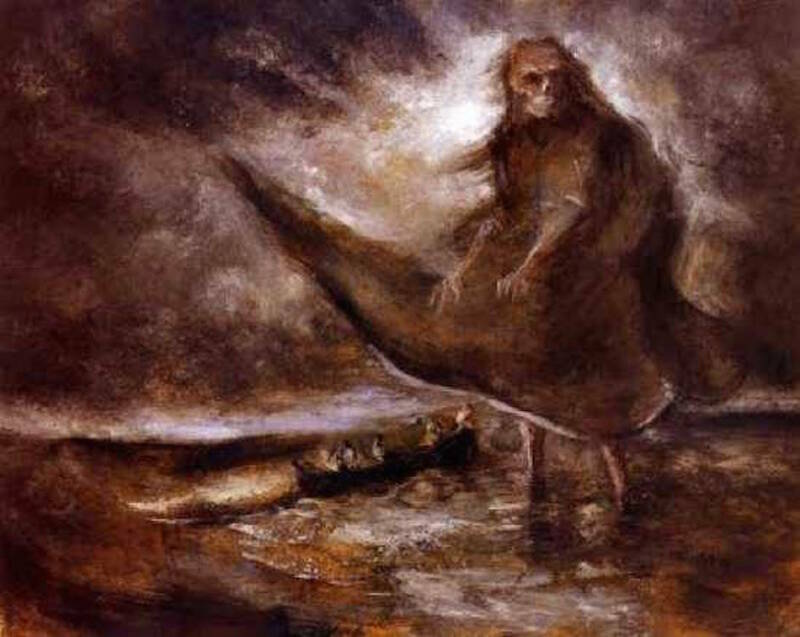 Artwork created at our community art event at the Tusten Settlement Church Cemetery will be on display, and Paranormal specialist Rich Justus will make a brief presentation the paranormal activity stirred up by the artists.